I’m Still Out of Milk! My daughter shrugs. I shrug. We head to the dairy section. I look. She looks. We find six packs. “But the coupon is for the eight pack.” I say to anyone that might be listening. So we get the Dannon. And, two hours and two hundred and thirty seven dollars later, I vow to shop only at the grocery closest to my house and to give all the Sunday coupons to the neighbors. Sorry, but I just don’t have it in me and for the time being, I would rather spend the extra $$ than spend the extra hours cutting, collecting and driving store to store in search of the brand of salsa that I happen to have a coupon for. Alas, Piggly Wiggly can thank me for keeping them in business. Oh, and I’m still out of milk!!! OK … so tell the truth. Are you a coupon queen or do you struggle and get frustrated like me? What’s your secret? Because I am telling you, I really don’t think I can do it. Shauna, I am now following you back! I love this post! LOVE IT! I am telling you. You are making it harder than it is! :-) You need to go back and read my tabs on Couponing 101, Walgreens 101 and CVS 101. You have to start small and have small victories. 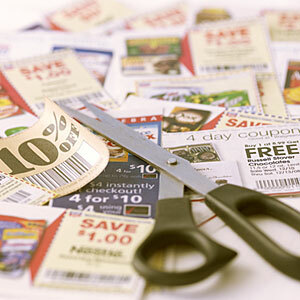 How long did you save coupons before heading out on this shopping adventure? I don't do couponing. It's too much hassle and you're right, they almost never have the correct product in the stores. I swear it's a switch & bait process going on…. Hi, following you back from hop. I liked your comment on the toy coupons =). Yes, the do make those! I just bought the Hasbro game Operation for $1.08 last week vs. the $16.99 regular price! Starting to put away for Christmas. If you do decide to start couponing again sites like mine match sales/coupons for you so, even though there is still some work, it's not too bad. Just start one store at a time. Have a great day! I have started couponing on the small scale. I only use coupons for brands and things I have already been buying and I save a bunch and sometime will wait to see which closest store has the better deal. I have saved about 20-30 dollars on my weekly normal shopping trips…that includes coupons and store reward card deals. I got 3 boxes of cereal for 3 dollars, I could of gotten 6 and saved more but I don't need 6 boxes of cereal. However, there were some awesome Campbell's soup coupons recently and my store did 10 cans for $6.00 so that ended up being a worthy buy. And I consume more soup in the winter time and probably can donate some to our local food bank. I mostly stockpile (meaning just 2-3 of on item on hand) toothpaste, women's stuff, and paper goods only because I know it's get used and it's nice to know it's there. I use coupons every shopping order & feed my hungry family of 5 for about $100/week. Since I don't buy much convenience foods, the coupons I use are limited to things like yogurt, broths, etc. I *NEVER* cut coupons. Ever. I simply store them in a folder with the date on them, in order, and then use http://www.couponmom.com. The Coupon Mom does all the work of combining sales w/ coupons for me. Then I place on an online order with my grocery store. I let *THEM* do all the hard work. I just tell them what I need and they find it. The at-home shopping fee is $10 and I easily make this up in sales & savings each week. I try to coupon when I have time, but sometimes I also just pay extra for the connivence. But I have a full time job, so it's hard for me to justify spending my free time doing some tedious like clipping coupons. LoL. Thanks for the visit. I'm following back. I agree. Couponing for just the 2 of us is not worth the time and effort involved. I just try to get the best deal and keep an eye on unit pricing. I don't really coupon but I do make a meal plan around the sale flyer. Those flyers are called LOSS LEADERS because they take a loss on those items to get you in the door. EX: They have spaghetti buy 1 get 1 free -so I grab 2 and now I have a meal for the next week or two after. They have roasts,pork chops and boneless skinless chicken breasts buy1 get1–3 more meals, although I buy extra chicken so we have enough for another meal of chicken this week (and next) I grab some hamburger so we can have a taco night and hamburgers one night (because they have taco shells on sale.) Now I plan my extras around their sales–long grain rice, salad, frozen veggies. I look at what we need for breakfast and lunch and look at the sale pages and I save a bundle. They do not make much on me because I shop around the LOSS LEADER. I can serve healthy meals and save a bundle. Of course I could save more if I clipped those coupons (I have heard from friends who do that you need to save coupons for about 6-8 weeks to get a good supply of the brands you like). I have also heard not to clip one if it isn't the brand you like. When they have your brand on sale then stock up. I have a friend who coupons pretty religously and she spends about $300 a month for a family of four for food, soap, cleaning supplies, foil…. Not a coupon queen but I sure do wish I could be—the amazing amounts of money people save! I am your newest follower from the blog hop. Please come check out my blog as I am doing a giveaway–you could win a free flower ring! I do not have a lot of comments yet so make sure you come check it out! I would appreciate if you followed me back! HI. Thanks for stopping by The Spring Mount 6 Pack. I am small time coupon user. Like the other week I was able to get 8 boxes of Trix for $8, the next week I was able to 8 boxes of Cherrios for $4. I am able to score a few deals, maybe every few weeks. I have the same issues as you, I don't need that many of something, or just not what I want. I only “stockpile” stuff we go through like crazy, like cereal. Again, thanks for stopping by, and I am now following you back. So funny because I'll save some coupons, nothing extreme, usually the ones that print out at the register from the last shopping trip, and then I forget to bring them! I'm not sure my brain is up to much couponing! Thank you so much for stopping by. I'm sure you have great memories from your friend. You never know it's small world..know what city she went to? I don't know see you as a follower yet but I'm sure following you. Take care! THIS is exactly why I don't do much couponing! I have tried and failed many times. I have no patience for it. I used my first coupon ever the other day and only because they had it next to the almond milk it was for. I wish I could coupon like other people, they see it as a sport and they are so good at it!